One of the more prestigious invites of the indoor track & field season, the Meyo Invitational, produced numerous personal bests for Butler. The meet was highlighted with Allie Vogeler posting a new school record in the 600-meters. Vogeler ran a 1:31.37, which broke her previous record of 1:32.60. Her time was good for second overall in the event. Margo Hornocker had a personal best in the 5000-meters with a time of 17:02.42. Teammate Maddie McLain posted a 17:07.30 in the event. The pair finished second and fourth overall. In the women’s mile, Camille Hines ran a 4:50.35, while teammate Angelina Ellis posted a 4:52.97. Lilly Hess posted a personal best in the 200-meters with a 25.77. In the women’s 3000-meters, Josephine Thestrup posted a 9:39.52. That time placed her 12th overall. Niki Ezeh was 20th in the women’s shot put. 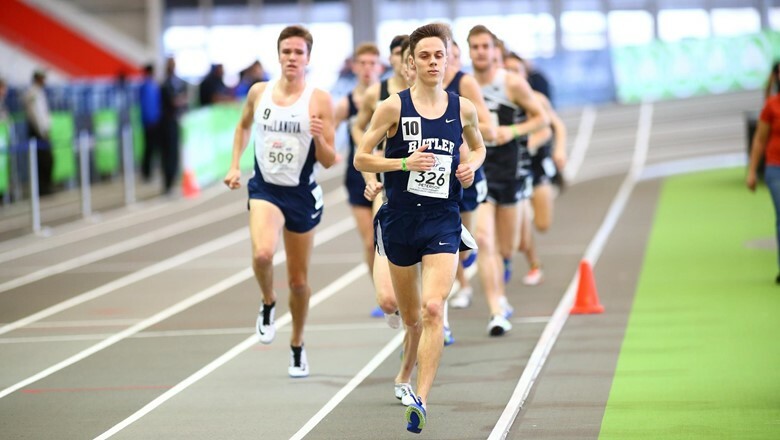 On the men’s side, Barry Keane, who ran unattached, won the 3000-meters with an 8:09.96. Teammate Clark Otte ran a career best in the event with an 8:29.69, which was good for 17th. In the men’s 600-meters, Chandler McGaha posted a personal best 1:21.44 for 10th overall, while teammate Jacob Uhl ran a 1:22.92 for 14th place. Mcgaha also ran a personal best in the 800-meters, posting a time of 1:53.69. James Sweeney ran a 14:44.54 in the 5000-meters, which was good for 15th overall. In the men’s mile, Johnny Leverenz posted a 4:09.68, which was good for tenth. Luke Russel was 15th in the men’s long jump. The Bulldogs will be in action again next weekend. A portion of the roster will compete in the Husky Classic in Seattle, Washington. The rest of the team will be at Hoosier Hills in Bloomington.